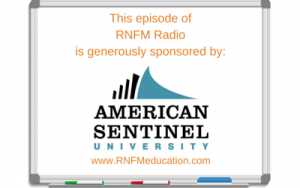 Episode 231 of RNFM Radio is all about leadership. You know, you don’t need an official title to be a leader. How do you lead in your life and career? Some people naturally position themselves as leaders; it’s not about the title, it’s about mindset. Leaders develop those around them through inspiration, encouragement, motivation, and just being who they are. You can be a cheerleader for others at any moment! Elizabeth has played and coached on many sports teams, so she has direct experience in assuming leadership in non-clinical environments. 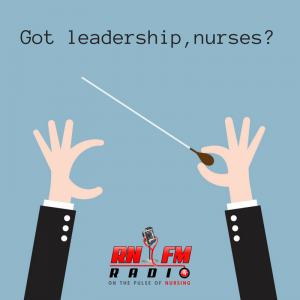 Meanwhile, Kevin has owned many businesses and leads in his own idiosyncratic way, and Keith most recently served as a Chief Nursing Officer and Director of Nursing of a home health agency. But again, a title isn’t what’s important—it’s you!